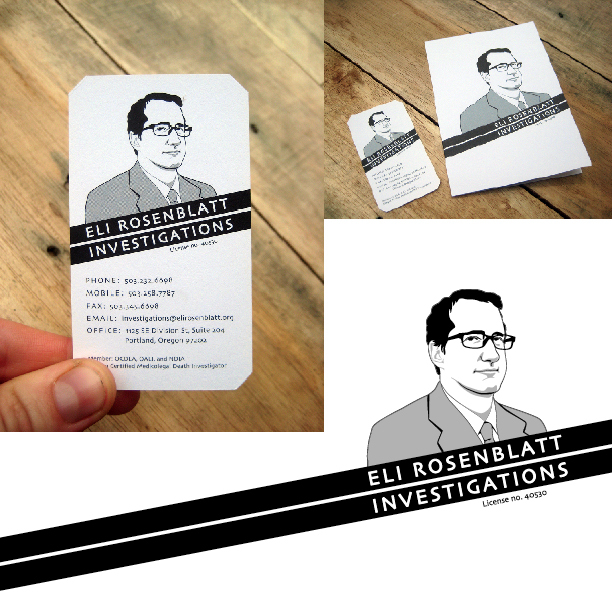 Client: Eli Rosenblatt, Private Investigator Role: Illustrator, designer Note: Illustrated portrait, identity redesign, business card and brochure for a private investigator. The aesthetic is clean and masculine. Printed with soy-based inks by Pinball.